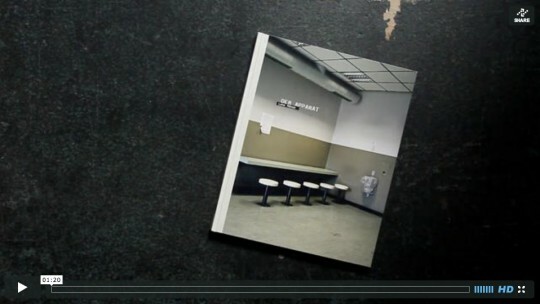 Lene Münchs photobook »Der Apparat« (The Apparatus) has been awarded with the BFF Promotion Award 2012. Every year the BFF Promotion Award is bestowed on the 5 best degree works in the field of photography by the German Association of Freelance Photographers (BFF – Bund Freischaffender Foto-Designer) and sponsored by the Kodak Cultural Program, the magazine stern, NEON, Leica Camera AG, the foundation Reinhart-Wolf-Stiftung and the Ministry of Finance and Economics of the German State of Baden-Wuerttemberg. »The Apparatus« focuses on a theme of our time and tells a story apart from sensations. Offices and institutions are in themselves boring places that evoke a feeling of unease and anxiety, when getting in touch with them. It was clear from the outset that I didn’t want to reproduce the classic stereotypes when dealing with this subject. Full waiting rooms, long corridors and annoyed faces simply didn’t interest me in this story. These images are somehow already known too well. I was rather interested in the nature of the offices and institutions themselves. In the apparatus itself. I was not only interested in the typical offices and institutions, but also in scenes beside. This is why I was not only in offices and administrative buildings but have also had a look at the former home of the former chancellors, have been underground in the mine Asse II, where the Federal Office for Radiation Protection investigates for solutions to the local problem of final disposal of nuclear waste and have been told that there is a kind of TÜV for plants (Federal Office of Plant Varieties). Also new to me was, that a chimney sweep is, as a single person, as well an institution for himself.